Purple WiFi delivers a fast, secure, Social WiFi solution to businesses wishing to offer free WiFi to visitors. The business is provided with valuable analytical data to enable more effective marketing. The service is growing quickly with 2400 venues running across 88 countries and 2 million users. Global agreements are in place with two of the world’s biggest distributors Ingram Micro and Westcon Comstor, with an active reseller base of over 300 in 60 countries. Purple WiFi's recent recruitment drive is the result of a $5m investment announced earlier this year. The funding was led by Sir Terry Leahy, Bill Currie, Iain MacDonald and Bob Willett. It will be used to accelerate Purple WiFi’s rapid international expansion and the recruitment drive is an integral step in achieving this. WhiteNoise Media is a Manchester based online video production company who specialize in online videos, YouTube channel creation and video SEO. Lee Holdsworth, Founder of WhiteNoise Media commented: "WhiteNoise Media’s approach is more than just filming. We utilise video channels such as YouTube & LinkedIn, Facebook, Instagram or Vine to increase a video’s reach and audience. This helps the right candidates to discover your company and engage with your brand. 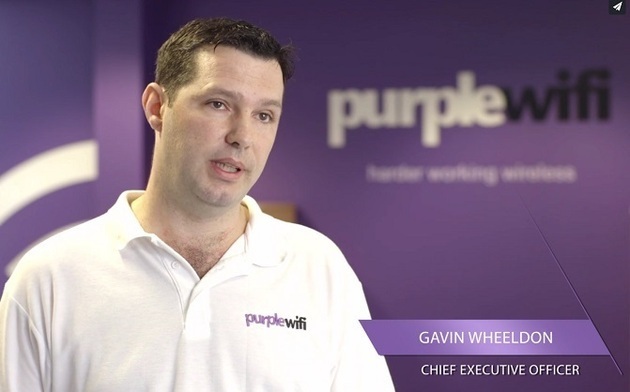 You can watch Purple Wi-Fi's recruitment video here.